Sayaka thought she had the game in the bag as she made her way back to the top of the tower. 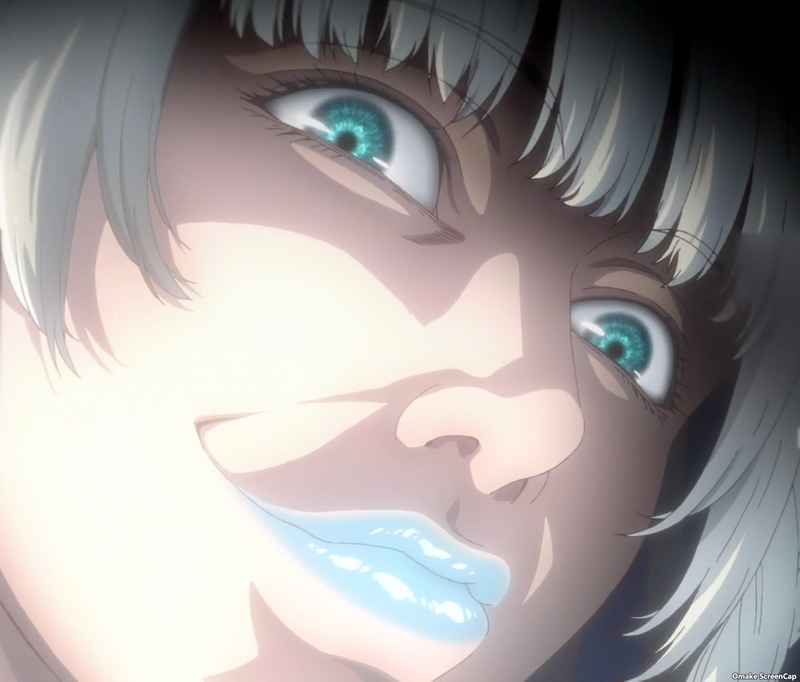 That's not a bet made lightly against Yumeko. Sayaka relived some memories of how she got close to Kirari, like seeing through Ririka impersonating her. She reached the halfway point of the game before Yumeko and had to laugh a bit at her internal despair of losing Kirari's friendship. Unfortunately for Sayaka, she lost. 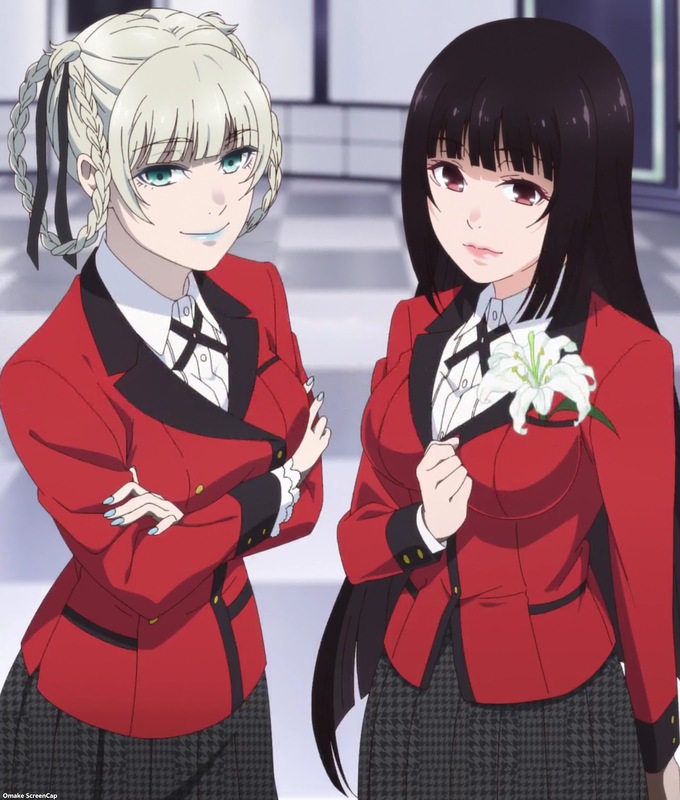 Yumeko explained that there was a trick to the tower involving the outside doors and the moon, but it was still a gamble to understand what it meant. Kirari, of course, approved Yumeko literally gambling with her life to use the tower's secret path. And what was this trick? The tower revolved around the central staircase and the ground underneath some of the lilies was a safety pad! Sayaka only found this out because she thought she was committing suicide over losing Kirari forever, but then Kirari leaped after her, like in a tragic lesbian love story. Not so tragic for Sayaka, though. 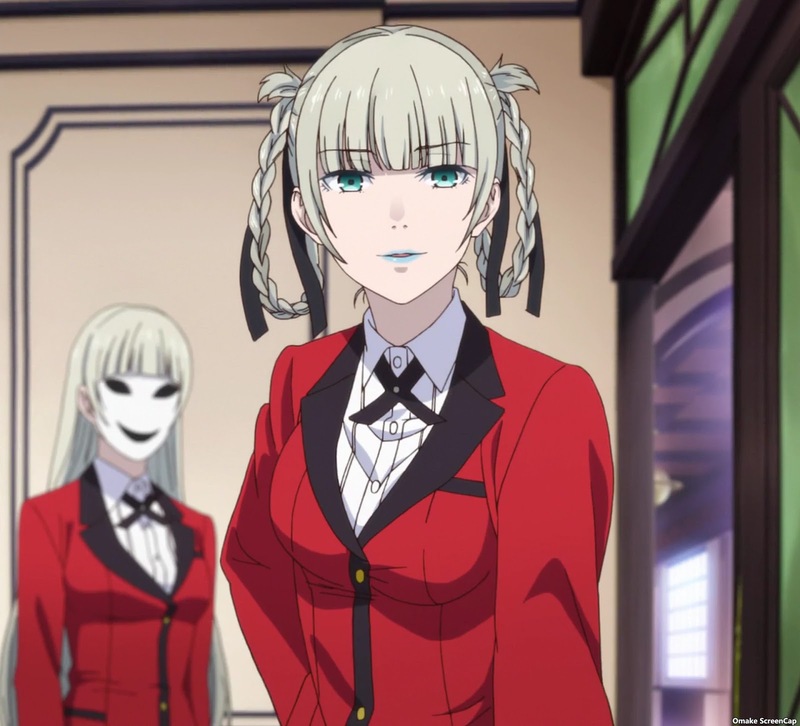 But Yumeko is still at the school and still has all her votes. The election end game is approaching. In Season 2, this episode (The tower of doors arc) is the best episode so far. I enjoyed it quite a bit for how it felt like a gambling match from the first season. An actual game played with skill, strategy, and luck. The political stuff with the invading -bami clan hasn't been a pure gambling experience because they're amateurs. 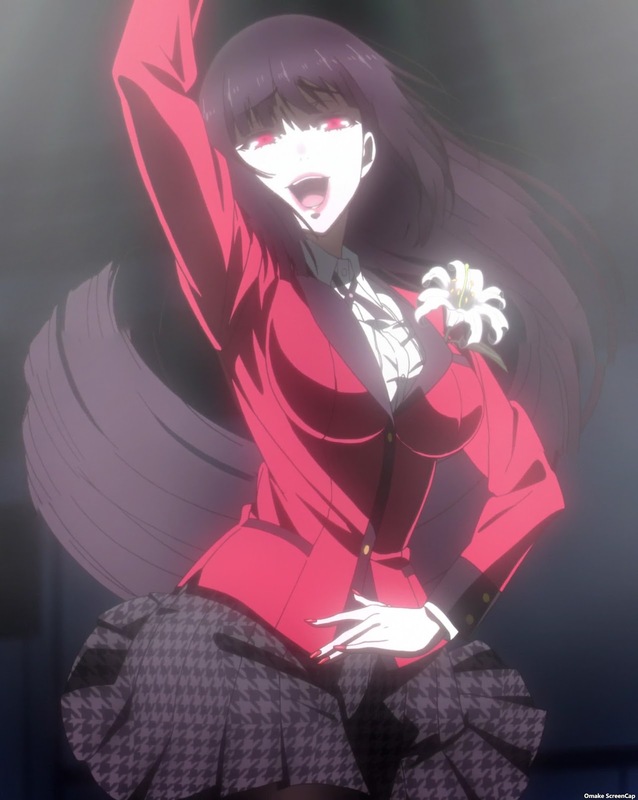 I suppose that was part of the charm in seeing how they would try to win games using their own talents, but give me gambling chaos like Yumeko's spirit.